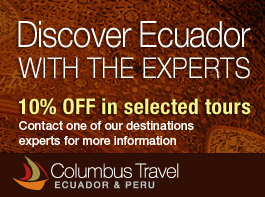 Ecuador is one of the most diverse countries in Latin America and perhaps in the world. In its small territory, this charming country has a great variety of natural wonders, from the colossal volcanoes of the Andes, the spectacular rainforests of the Amazon, endless beaches along the Pacific Ocean, and of course the idyllic Galapagos Islands – Ecuador has it all. And in this short 8-day tour, you will discover the true essence of this country through its mountains, people, traditions, history, and cuisine. Join us on a journey of a lifetime across the unique and beautiful Avenue of the Volcanoes and its marvels. Upon arrival to the city of Quito, you will be met by one of our representatives, who will transfer you to your hotel to settle in. 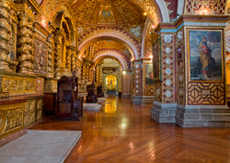 Shortly after, you will start this sensational journey by visiting the old town of Quito. The colonial quarter of Quito is one of the best-preserved in Latin America, and in it you will find spectacular pieces of art and architecture from the colonial times, from beautiful buildings to the most impressive works of art. We will take a tour of the cobblestone streets of this bewitching city, and your guide will unravel some of the most inspiring legends of the old town. You will visit the most important square of the city, La Plaza Grande, where all the powers of the colonial government are based. Here, we will find the impressive Cathedral, the gorgeous Archbishop's palace, and the presidential palace of Carondelet. Many interesting stories have their origins in this square, and you will hear some of them. We will continue to San Francisco Square, passing by the famous Campania de Jesus on the way. This church is the finest example of baroque architecture and art of the colonial period in Latin America; it has captivated visitors with its beauty and mystery for centuries. Once in San Francisco we will admire one of Quito's most beloved churches and also one of the oldest churches in Latin America. Here, on its very atrium, one of Quito's most celebrated legends was forged – the legend of Catuña and the deal he made with the Devil. Let yourself experience the history and legends of this awe-inspiring city. We will spend the night in Quito. On the second day of this exciting tour, we will visit the colorful Otavalo market. This is one of the largest indigenous markets in Latin America; bursting with colors, sounds, and joy, this market is the perfect place to find that incredible souvenir that will make you remember a wonderful journey. Early in the morning, your guide will pick you up from your hotel, and you will drive north to the city of Otavalo. On the way you might be able to see the majestic snow-capped mountain Cayambe that rises 5,790 m (19,000 ft) above sea level. The snow-covered summit makes this colossal volcano a unique sight. We will continue our drive to the city of Otavalo to visit the market. 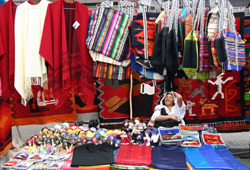 Hundreds of merchants gather here to sell their products, including colorful tapestries, embroidered blouses, beautiful paintings, and skillfully carved figures; if you are looking for some delicate alpaca sweaters, mittens, or hats, this is the perfect moment to find them, since some of the craftsmen of these products will be present in the market. After your visit, we will have lunch and try the local flavor, and then we will continue to the spectacular Cuicocha Lake. Cuicocha is a unique lake that rests in the crater of an active volcano. You will be amazed by the beauty of the turquoise waters and its two small islets that sit in the middle. Before returning to the city of Quito, we will make a final stop in the town of Cotacachi; this town is well known for its leather goods, ranging from carefully designed jackets to the most comfortable shoes and boots. After our visit to Cotacachi we will return to Quito. Day 3: Cotopaxi National Park (B,D). 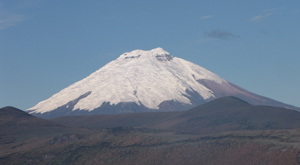 We depart from Quito early in the morning after breakfast; our destination will be the Cotopaxi National Park. As Ecuador's first national park, Cotopaxi is home to one of the highest active volcanoes in the world – Cotopaxi Volcano reaches a height of 5,897 m (19,347 ft). This park also protects an essential ecosystem the Andean paramo. The natural reservoir of the Andean paramo is essential for life, since a great part of the water that is consumed in the lowlands comes from this ecosystem. We will take a short hike in the Park, we will learn more about this amazing place and the incredible animals that have adapted themselves to survive in the extreme conditions of the paramo. One of the most extreme cases of adaptation is the Cotopaxi hummingbird that goes into a hibernation state each night in order to survive the extreme weather conditions of these lands. Among other species that have made the paramo their home, we can find the spectacled bear, paramo foxes, white-tailed deer and the emblematic Andean Condor, all of which are unfortunately threatened by hunting and the destruction of their natural habitat. While here, we will learn more about this fragile ecosystem and its importance. After our hike, we will head to our hotel to spend the night. We continue our thrilling tour of the Avenue of the Volcanoes with a visit to Chimborazo National Park and Chimborazo mountain. This long-extinct volcano reaches an impressive height of 6,268 meters (20,564 ft), making it the highest mountain of Ecuador. After breakfast we will continue driving south until we reach Chimborazo National Park. Due to the impressive height of the mountain, this park has many different microclimates and great biodiversity. We will hike around the area and learn more about this beautiful place and the efforts made by the government to preserve llamas, alpacas, and vicuñas in the area. 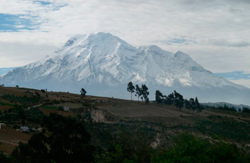 We will also learn more about one of the most interesting professions around the ice caps of Chimborazo, the “Hieleros.” The hieleros were people that used to climb the mountain to mine the glacier and then transport the giant ice cubes wrapped in straw to the aristocratic families that could afford the luxury of ice. Nowadays, this job has lost its purpose, but there is still one man that keeps this ancient profession alive; his name is Baltazar Ushca, and he continues to mine and sell the ice cubes in the nearby market of Riobamba. After visiting this protected area, we will visit a local hacienda to spend the night. On the fifth day of your tour, you will experience a thrilling sensation while you descend a steep 45-degree zigzagging railway better known as La Nariz del Diablo or “The Devil's Nose.” This magnificent feat of engineering was conceived in the early 20th century, and its complexity made this one of the most important achievements at the time. Early in the morning, we will depart towards the small town of Alausi, from which point the train will depart. 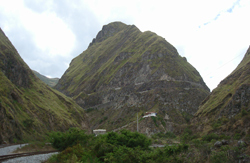 On the way, we will see Colta Lake and also the first church of Ecuador, the Church of Balbanera. Upon our arrival to the train station, you will check in and start this thrilling adventure along the most technical railroad ever built. The Devil's Nose train has to summit a steep rock mountain in order to reach the Andes. This was achieved through a complicated system of switchbacks, in which the train does a zigzag back and forth up the mountain to reach its destination. This was a costly accomplishment, since it claimed the lives of many workers, including the life of one of the engineers that designed this project. After experiencing this amazing adventure, you will have a boxed lunch and continue with your journey. Our next stop will be the Inca remains at Ingapirca; although the use of this complex is not clear, many experts claim that it was a ceremonial temple and held part of a garrison to protect the temple. The remains of this construction are a fine example of the incredible architectonic skills of the Inca, and you will be astonished by the precision and complexity of this archaeological complex. 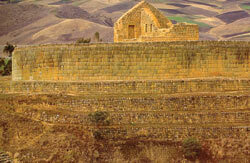 We will continue driving south to the city of Cuenca, where we will spend the night. Day 6: Cuenca city tour(B,D). 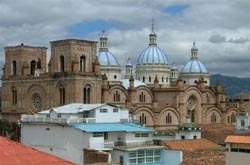 Cuenca is one of the most beautiful cities Ecuador has. Crossed by four different rivers and host to pleasant weather and spectacular architecture, this city was recognized by UNESCO as a World Heritage Site. On this tour, we will visit its most emblematic sites, parks, and churches, and you will be captivated by the beauty of this majestic city. Early in the morning, we will visit the colonial quarter of the city – first, we'll head to the old cathedral whose colonial style is characteristic of old Cuenca. In fact, it was the first building to be built in the city. We will continue our tour to Calderon Park, and then we will visit the New Cathedral of Cuenca. This cathedral was commissioned in 1885 due to the fact that the old cathedral was not big enough to host all the citizens of this prosperous city. This spectacular Cathedral combines many architectural styles, but the predominant style is the Romanesque (clearly seen in the exterior facade of the Cathedral) and the Renaissance style that is represented by the iconic blue tiled domes of the cathedral. We will visit this magnificent building and then continue with our tour. In the aftermoon, we'll head to the Toquilla Straw Hat Museum, better known as the Panama hat. The Panama hat received its name because it was very popular among the workers that built the Panama Canal, and it became famous when Theodore Roosevelt started wearing it. Despite the popularity of the hat in Panama, the true origin of the hat was Ecuador, and Cuenca was one of the cities that produced it. The art of weaving this hat was added to the UNESCO Intangible Cultural Heritage Lists in 2012. After an exciting day of discovery, we will spend the night in the quiet city of Cuenca. On the seventh day of our tour we'll go from the Andean highlands and its amazing paramo to the coastal city of Guayaquil, the main port and shipyard of Ecuador. You'll be intrigued by the dramatic changes between the natural ecosystems and the biodiversity of this incredible country. 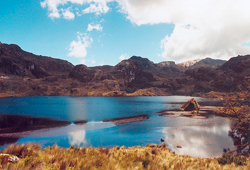 Early in the morning, we depart towards Cajas National Park. This beautiful paramo is one of the most important water reservoirs of Ecuador, including more than 200 lakes that house freshwater. We will visit one of the haciendas that now serves as a private reserve, and you'll be impressed by the astonishing beauty of the landscape. We will continue our journey to the coast and witness the amazing changes in vegetation and climate only a few minutes after we start descending through the Andes Mountains. On our way to Guayaquil, we will encounter amazing scenery, like the expansive banana, plantain, and cacao plantations, among other large agricultural farms. 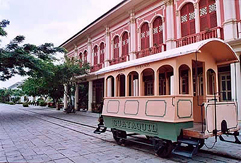 Once in Guayaquil, we will take a scenic tour of the most important parts of this vibrant city, like the Malecon Boardwalk and Seminario Park. We will spend the night in Guayaquil and enjoy the comfort of our hotel. A transfer will be arranged from our hotel to the airport, thus marking the end of this amazing journey through Ecuador.